Searching for the perfect learning management system (LMS) can be grueling, so it’s nice to have someone (like me!) do the dirty research work to save you time and energy. Kajabi is a well-known LMS that states you can “easily market, sell, and deliver your content online,” even if you possess the design skills of an infant (the latter might not be their exact words). The site is beautiful, and sign up is pretty simple and straightforward. Much like most free trials these days, you do have to add a credit card to obtain their two-week test run. But it’s not a big deal if you just pop a reminder in your calendar a couple days before they plan to charge. Once you start poking around and check out the pricing, you’ll see that Kajabi isn’t for the faint of heart or wallet. It’s definitely a professional’s LMS, and you’re getting what you pay for. Once you’re all signed up and ready to go, they ask three multiple-choice questions to tailor your experience. 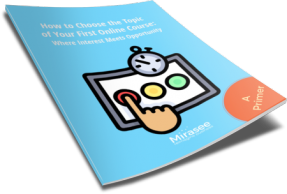 The questions ask if you’ve created a course before, sold content online, and have a list or audience. After a short welcome video encouraging you to watch the overview video, check out Kajabi University, and try the Course Creation 101 and Building Blocks 101 tutorials within, you’re taken to a clean dashboard with a nice inspirational quote. There’s a “KajabiHero” (one of their successful course creators), announcements, and the easy-to-navigate menu bar all in plain view. Now, before we move along, I want to interject a disclaimer here. I’m fairly adept at technology and can find my way around pretty well, but this came only after a couple years of earnest effort, and after being more technologically backward than a Neanderthal grandmother. So occasionally that old woman in me rears her bespeckled head and shouts, “Where do I do this? How do I find that? What did I just do?” in very non-inquisitive tones. I say this to give you technophobes out there hope. If I can beat my Neanderthal grandmother into submission with Google and YouTube tutorials, so can you! Like the good student you want to attract, you’ll probably want to familiarize yourself with the provided info. Two great places to start are the “How do I…” tab (Granny loved that!) and Kajabi University. The “How do I…” tab drops down into a nice little walk-through of getting your plans together, but doesn’t—surprisingly—clearly explain how to implement them within Kajabi. For example, when you click the “Build My First Product” option, you’re taken to a page explaining the different parts of the “product,” which in this case means your course. Under the hood, every product is made up of the exact same components: Posts and Categories. Posts contain your actual content (videos, text, downloads, etc). You can think of posts as lessons, or pages in a book. Categories are used to divide your posts into logical groupings. You can think of categories as modules, sections, or even chapters in a book. Now, while it’s great to know they’ve created posts (which I see more broadly as lessons) and categories (which I see more broadly as modules), it doesn’t really explain where to find them on the dashboard, or give examples on creating a post within a category. Or how to publish them, etc. You’re on your own if you rely solely on this little blurb. Pro Tip: Make sure you read your welcome emails from support! I found what I was looking for in the videos they emailed after I joined. You’ll want to be sure to bookmark this one, as it’s a tutorial on creating your course! One thing I did appreciate was how they broke down different product types like courses, consulting, and memberships, and then suggested different themes for each that would best suit the situation. And speaking of themes, Kajabi has A LOT! I was impressed with their design selection, and though I had trouble switching themes and keeping the content (Grrrrr…anny), it’s doable. Just don’t get sucked into the analysis paralysis of choosing one, and you’re good to go. Now, before you start putting those themes to use, you’ll want to be sure to check out the Kajabi University resources I mentioned above. Just go to the bottom left of the dashboard, and click on your little profile picture (or bar, or the upward expansion arrow. Same outcome). That helpful little friend will pull up a search bar for you to look for specific topics or questions. And if you can’t find your answer in the database, it helps you send a message directly to the Kajabi support team. Coming from an elite support team like Mirasee has me setting the support bar pretty high, and because I’ve been on the other side of the ticket, I know what to look for. And, to be fair, my own immersion in the Mirasee support world might have created some pretty big expectations because those are some massive shoes to fill. But even when I tried lowering my bar a bit, I was still left with a lackluster experience. Testing the limits, I sent my first request for help on a Friday shortly before noon. Surprisingly, I got a “Did that solve your problem?” follow-up email two days later (on a Sunday! ), but hadn’t yet received a reply to the problem. Kinda funny, but not when you really want answers. However, as soon as I got in touch with the poor sucker who had to reply to me, I had much better luck (Thanks, Adam!). He hopped on the issue, gave appropriate apologies, made it right, and left me happy. So even though I was disenchanted at first, I think it was likely a combination of weekend timing and system glitch or oversight. Otherwise, the way they handled my support ticket was top notch. Once you’ve explored around and exhausted yourself on the plethora of available bunny trails to get lost in (landing pages, and payment processors, and email marketing, oh my! ), you’ll want to refocus and get to putting your course together. You’ll navigate to the products section on the left menu bar in the lower half, right under “Store.” Then it’s a matter of clicking “+ New Product” on the top right and filling in some basics. Once you’ve saved, then you’ll want to move on to creating your posts (lessons) and categories (modules). I started off by creating all my categories (modules) and then creating posts (lessons) which I could then file under the already-established categories (modules). The tutorial video they email does it a bit differently, and you may find your own preferred method, but once you figure out what’s what, it’s simple and easy to use. Within the posts page, you can upload all kinds of good stuff like text, videos, and images, and embed code for quizzes or homework. From there, you can play around with your theme preferences in “Appearance,” post announcements for you students, see progress by lessons/modules or students, and adjust course details like the title, description, or image. Once you get the hang of it, it’s smooth and simple to use! Yes, all subscription plans include unlimited hosting! The Premier theme allows you to embed live video or broadcasting from a third-party service, such as YouTube Live. Stripe is sole payment processor right now, but you can send members to an external payment system with a Custom Sales Page, and then send that information back to Kajabi if the third-party app is included in Zapier. Limited to email broadcasts, but yes. Email broadcasts use filters to select portions of your list to send to based on purchases, forms filled, and activity. You can send a broadcast or schedule it for a later time/day. You can also insert member variables, images, and links! Assignments from Students Students can only submit comments at this time – no ability to upload files. However, if students want the instructor to check out work, they can post a link to the file of choice within the comments. Community/Discussion forum Forums are also not yet built into Kajabi, but you can embed one from Muut.com or Plushforums.com. Analytics With the Google Analytics integration, you can track Page Views, Sessions, Users, Bounce rates, %New Sessions, Average Session Duration, and Demographics. You can track individual student progress, average progress within lessons, number of students who completed within lessons, sales (by day, week, month, and offer), affiliate sales (with Pro and Premium versions), opt-ins, landing page conversions, and hosted email marketing stats. I personally experienced a minor support glitch with my first ticket submission, but it was quickly rectified, and subsequent help was timely and high quality. They claim to respond to most emails within 1-8 business hours, and all within 24. I personally got a reply two days later, after emailing on a Friday. When I got in touch a second time on a late afternoon, I had a very thorough answer before noon the following day. And when I emailed a third time, it was nearly after hours, but I got a reply within the hour! After making a pest of myself, I’d say the support was pretty great. Kajabi boasts users the likes of Chalene Johnson and Brendan Burchard, and I can see why. 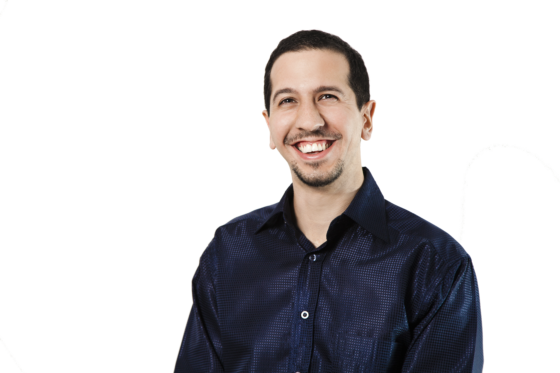 One of my favorite personal development gurus, David Bayer, uses Kajabi for a couple of his courses and loves it. And as a student, I found them beautifully simple to work through and complete. The features this LMS offers are impressive, and I’d say it’s a good choice if you’re looking for a customizable design and want multiple options and flexibility while still keeping things fairly user-friendly. It definitely delivered on the promise of, “Easily sell your content online.” It also offers a robust option for those who don’t want to juggle multiple tools or platforms to grow their online business. 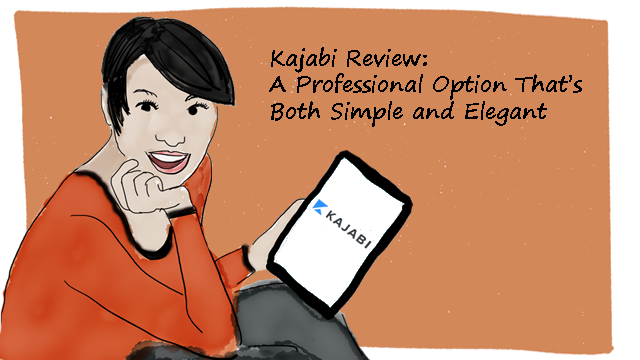 Kajabi offers a lot in a tidy little package. My favorite aspects are its various theme options, hearty analytics, the availability of a Certificate of Completion, user-friendly interface, and excellent video tutorials (even if they were a bit spread around). I’d like to see them allow member uploads, facilitate quiz options, allow self-paced release of content, add forums and live-stream options, and be clearer on the whole “post” (lesson!) and “category” (module!) thing within the “Products” section. With no true deal breakers in sight, Kajabi is an LMS I’d be comfortable recommending to a friend. I wouldn’t recommend it to an absolute brand new course builder. All those bells and whistles might become a distraction for someone who just needs to put a course out there and get rolling. The technological side of things is very manageable, but might be too much for someone who isn’t familiar with things like analytics, landing pages, affiliates, email campaigns, and the like. 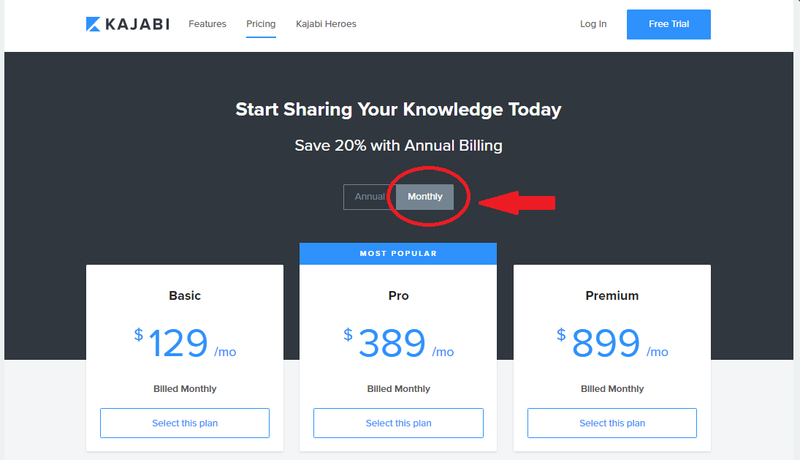 But for an entrepreneur who has at least a good beginning grasp on course building, technology, and basic online marketing terminology, Kajabi could be the perfect option. It’s a robust platform that offers a professional appeal without frustration or regret. Definitely a win in my book! Does Kajabi make your shortlist of LMS platforms? Why or why not? Lindsey is a former Coach at Mirasee, and is growing her own copywriting business on the side. She’s an animal fanatic, bookworm, and essential oil junkie who loves to laugh – especially at herself. She loves to geek out talking shop with other copywriters, and lives to learn. 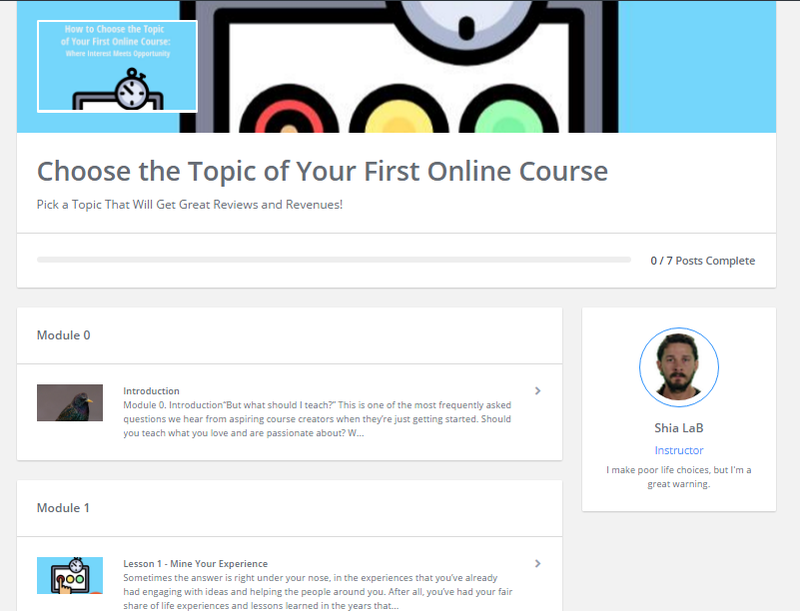 Previous Post » WP Courseware Review: Is It the Easiest WordPress Plugin for Creating Your Online Course? I love Kajabi as a student and a teacher hosting courses. They do have a Facebook community that is very supportive. You can ask questions, get feedback and moral support from fellow members, resident experts and staff. There have also been suggested ideas that Kajabi has implemented. So they definitely listen to their customers! Thanks for reviewing them Lindsey.